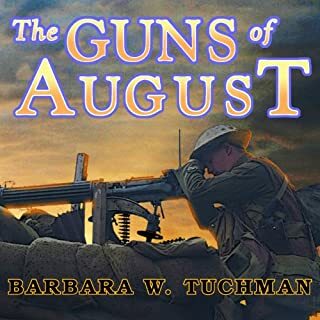 The guns of august is one of the best books on the first world war, I probably don't need to tell anyone that, it's effectively axiomatic at this point. I would like to note that the performance was very good. 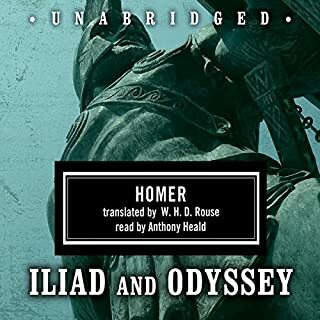 The use of various accents by the narrator seemed a little cheesy at first, but I found it to be extremely helpful at keeping a firm grasp on what nation is being refereed to. I very much enjoyed it. 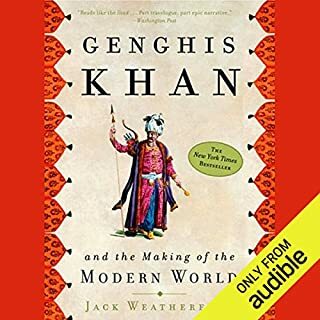 do to the rough treatment of the mongols in history up to the 20th century, this book endeavors to flip the narrative and talk about only the good things about genghis and his mongols. this is a side of the story that needs to be talked about, but he really glosses over the millions of deaths and rapes that occurred during the conquests. so I would call this book good, but one sided. This was just the kind of engaging narrative and scholarly incite I have come to expect from the wonderful mind of Mike Duncan. To all fans of ether of his podcasts; GET THIS BOOK NOW!!!! 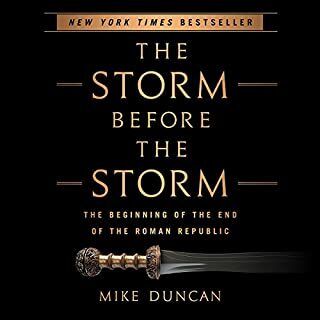 Great narration and good choice in historical story. Now if you'll excuse me I'm going to listen to it again. I loved all of it, but I wouldn't recommend it to anyone that I know. 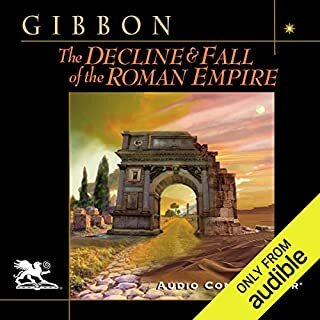 126 hours of meandering through the Roman decline told by a man from 1787, having all of the prejudices you would expect, was for me a lot of fun but most people who are humans and have ears would likely rip them off half way through the work. But if your reading this review you probably fall into the group of people who enjoy this kind of thing, and in that case I would recommend it just for the satisfaction of beating this book! It's great, just do it.